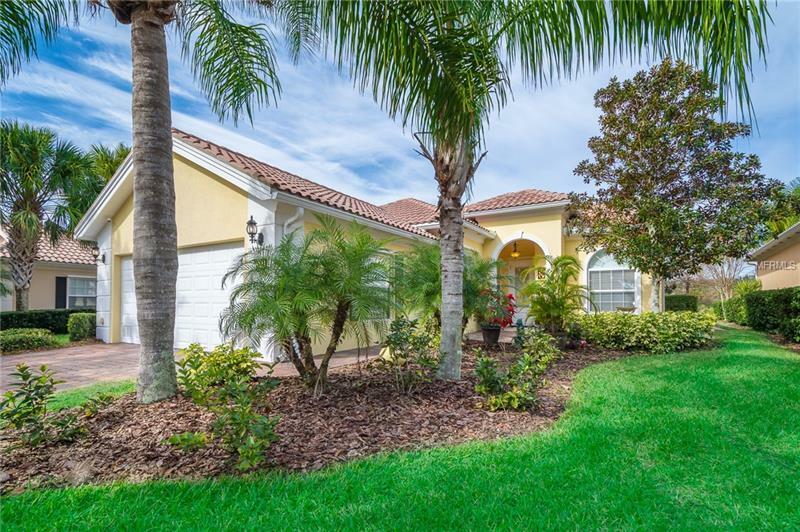 If you are looking for a meticulously maintained home loved by the original owners located in one of the most sought after locations of booming, Orlando, Florida, you have come to the right place! One story, reinforced poured concrete home built by Divosta complete with tile roof, brand new exterior paint, hurricane shutters, front brick paver patio, and community maintained landscaping allows you to have the weekend lifestyle you deserve to actually enjoy your sunsets on the screen porch overlooking the extended 3 canals. THAT'S RIGHT, NO BACK NEIGHBORS for more privacy! The Oakmont model features a 3 bedroom PLUS office/den/playroom/gym, open floorplan, large master suite, private guest room, breathtaking wall shelving unit, solid surface countertops, glass entry front door, with THE BEST water views through the 10" back double sliders that extend across the entire back of the home. Villagewalk is known for miles of sidewalks, walking and biking trails through lush landscaping and waterways to access the entire community. Just a few minutes drive to Nemours, VA hospital, UCF medical school, KPMG (coming soon), US Tennis Association, 417, beachline, restaurants, shopping and so much more! HOA includes landscaping, irrigation, high speed internet, cable TV, alarm monitoring, fitness center, clay tennis courts, basketball courts, 24-hr guard gated entry, HOA on site, gas station, commercial services and weekly community activities. Such convenience as A-rated schools with bus stops right in the community! Pet Restrictions: Buyer's responsibility to confirm all information is accurate with the HOA.